This 30+ acres is located next door to the Great Sky subdivision development and just down the street from Laurel Canyon and the Publix anchored shopping center at Laurel Canyon. 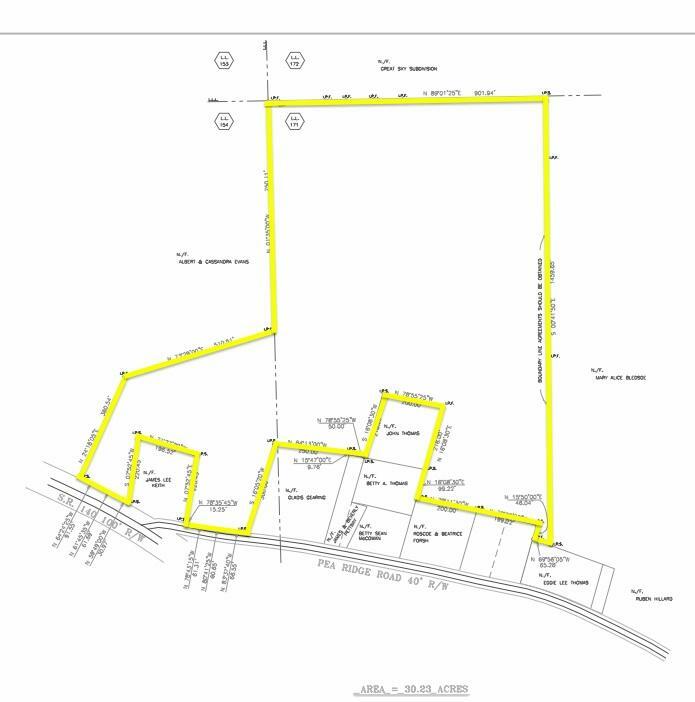 Current zoning is R40 (Cherokee County). Sewer is not on the Property but it is nearby. This property is estate owned and priced to sell. 100 Pea Ridge Road (zoned NC) is also avaialble and adjoins this Property which allows for assemblage with this Acreage. More info on 100 Pearidge Road is available HERE. Copyright . Landmark Commercial Realty, Inc.. All rights reserved.